I'm starting this with a confession; this isn't really a review. I say that as I don't think you can call it a review when you know that you're about to drink one of your favourite all time beers! 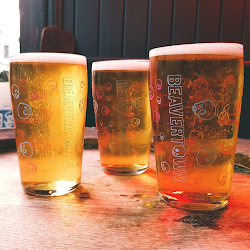 Beavertown are a brewery that most UK beer lovers will be familiar with; they have got a winning combination of brilliant beers and quirky yet distinctive branding, as well as an effective social media presence (there is no denying that instagram and twitter are great friends to modern brewers). 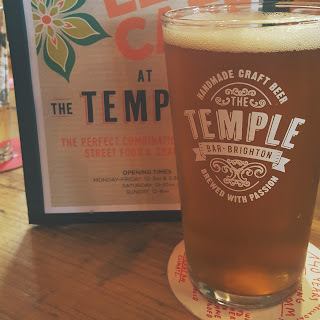 I first tasted one of their beers in the Meat and Barrel in Southsea. 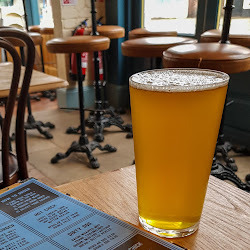 At that time I was just dipping my toe into the world of Craft Beers and as I was already aware of the buzz around American Pale Ales I took on a pint of Gamma Ray. Wow! I wasn't sure what I was tasting at that time but I knew I liked it. Since then, purely due to the diverse range of beers available, I haven't sampled too many of their other offerings. However on a recent trip to Brighton I was given a pint of Neck Oil and I was hooked. 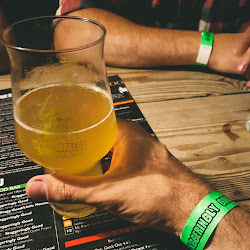 Beavertown describe it as their "every day, all day, easy drinking, go to IPA" and they've summed it up perfectly. 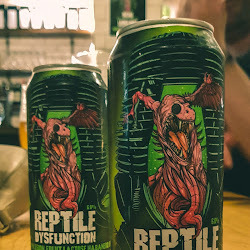 They don't claim to have produced the most complicated or exotic beer in the world, but what they have done is created what I believe to be one of the best Session IPAs I've ever tasted. From a can it pours a light straw colour with a small frothy head that disappears quickly. It has a floral hoppy nose and when you sip it you get a lovely malty flavour with a bitterness coming through. 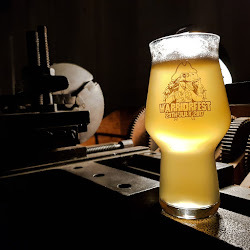 There is a hint of grapefruit somewhere in the background, but as opposed to some of the American Pale Ales that I've been trying recently, that grapefruit is in the background only, offering a lovely freshness to the beer that makes Neck Oil eminently drinkable. 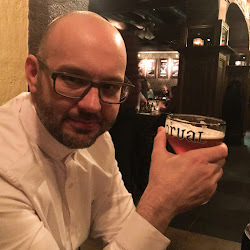 I have a number of friends that are lager drinkers only (yep, I am still friends with them) and Neck Oil is a beer that I wouldn't hesitate to recommend to them as an entry into the wonderful world of ale. Can you suggest somewhere in Portsmouth I can purchase this? Thanks! Although I'm pretty sure you wouldnt like it... it still tastes of beer! It was on a Summer day in 2016 that I had my first taste of Neck Oil. Southsea based pub licensee Steve Lant ran several pubs in the area at the time, including the Invincible down by the Hard in Portsea which was set up as a craft beer bar with traditional beer on handpump, draught craft beer on taps and a decent range of bottles and cans in a fridge behind the bar. 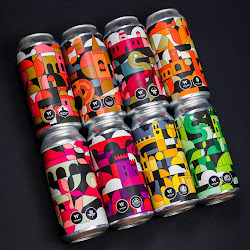 The Beavertown beers are, as you state, distinctive and it was the beuatifully designed amber can of Neck Oil that caught my eye that day. 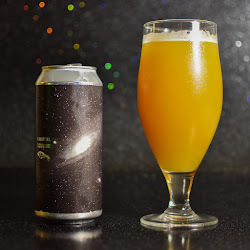 The bitterness of that first can however took me completely by surprise and for me, masked any flavour. It was not a pleasant experience. Later that year I noticed Neck Oil on draught at Meat & Barrel and decided to give it another try. I'm not sure why, but on that particular day the taste was sublime; fruity, citrussy, just the right side of bitter and a total revelation. 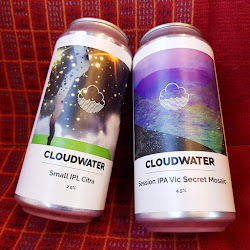 Quite why the two experiences differed I've no idea, but I've had Neck Oil several times since in both canned and draught form and have loved it. I've also tried Double Chin, the Double IPA version of Neck Oil on draught and that was a corker. 2013 - the year I finally hit my training goals! A reflection on the rise of investments into the Craft Beer industry. 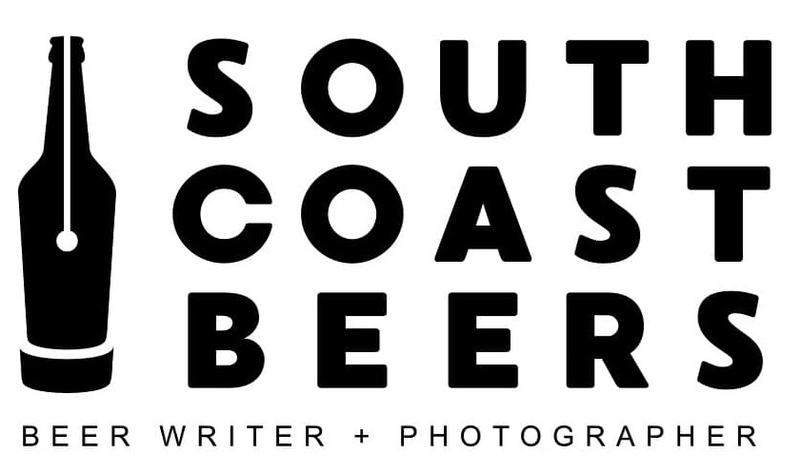 © South Coast Beers. Theme by MisteryDesigns.